Photo Courtesy of Kathy Gerber : ©2011 www.nelsoncountylife.com : Tnanks to the quick action of some bystanders, a burning vehicle was pulled away from the gas pumps at Colleen Exxon Monday afternoon. Thanks to some quick thinkers a car fire ended up being just a car fire and not something bigger. 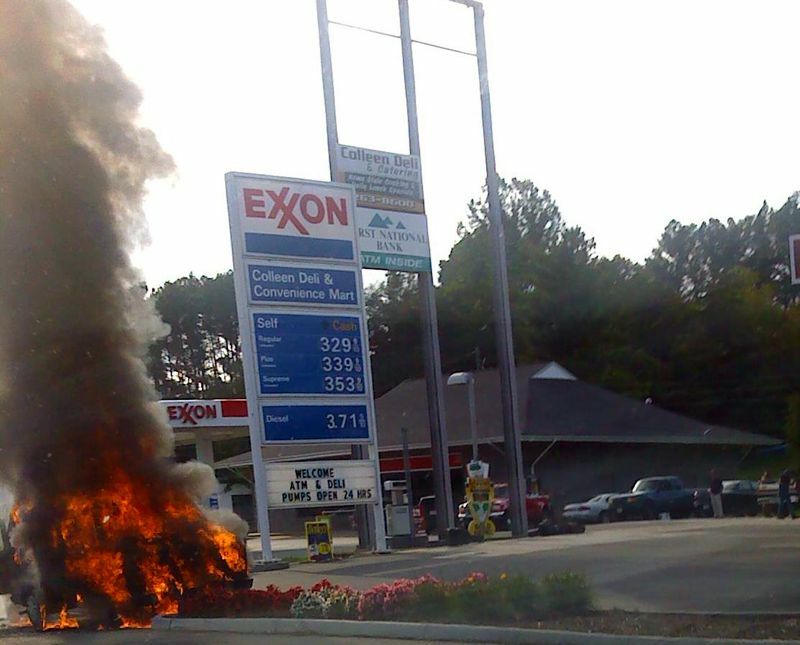 A vehicle caught on fire at Colleen Exxon Monday afternoon and quickly became a big inferno. Some bystanders pulled the vehicle away from the gas pumps limiting the chances of it spreading. 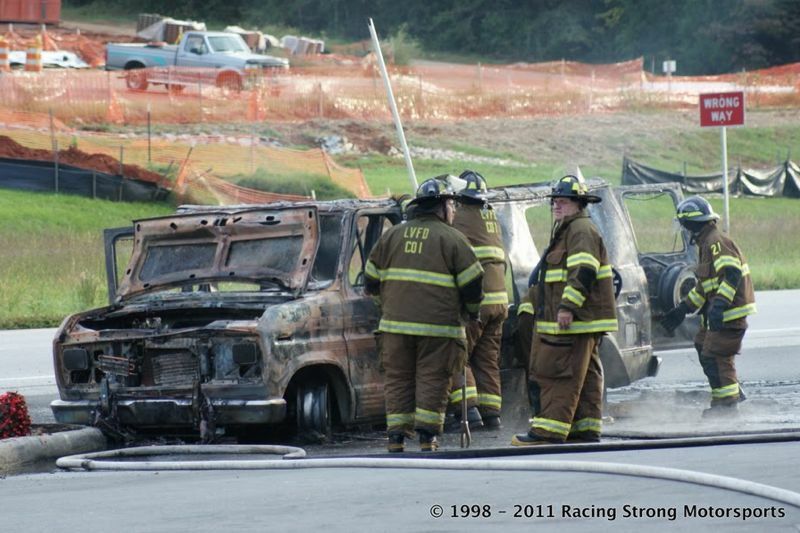 Photo By Bill Strong: ©2011 Racing Strong Motorsports : All that was left of the van after the fire was out. Way to go Nelson people, helping each other out. That’s what it’s all about!